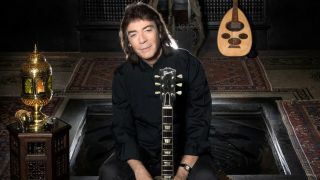 Steve Hackett has released a new track titled In The Skeleton Gallery. It’s taken from the former Genesis guitarist’s upcoming album The Night Siren, which will launch on March 24 via InsideOut Music. Speaking about the follow-up to 2014’s Wolflight, Hackett said: “This latest waxing represents a bird’s eye view of the world of a musical migrant ignoring borders and celebrating our common ancestry with a unity of spirit, featuring musicians, singers and instruments from all over the world. Hackett will kick off his Genesis Revisited UK and Ireland tour in April where he’ll celebrate the 40th anniversary of the Wind And Wuthering album. Along with playing material from the 1976 Genesis record, Hackett will play tracks from The Night Siren, which is now available for pre-order.